Intel Capital, the chip maker's global investment arm, has announced that it's creating a $100 million 'Connected Car Fund' to help speed up innovation and adoption of new technologies in the automotive industry. Most of the investments will be made over the next three to five years in hardware, software and services companies around the world developing technologies to promote new in-vehicle applications and services. "The intention of this fund is to get the ecosystem going and other investors will join us along the way," said Intel Capital President Arvind Sodhani in a media teleconference. Some technologies that Intel will focus on promoting include vehicle-to-x communication, social media application integration, and multimodal inputs, such as eye tracking, speech recognition, gesture recognition. The goal is to create consistent and engaging in-vehicle computing experiences in a safe manner. 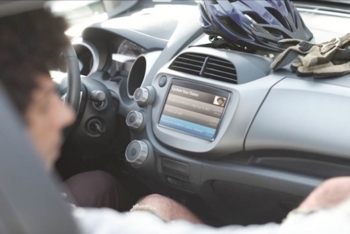 Besides keeping passengers entertained by connecting cars to the cloud and mobile devices, the ability to seamlessly communicate with transportation infrastructure and other vehicles would also benefit drivers with additional services such as advanced driver assistance and real-time traffic information to optimize the flow of traffic. According to Gartner forecasts, as cited by Cnet, automobiles will be among the top three fastest-growing market segments for connected devices and Internet content by 2014. Although Intel is a relative newcomer to the market, it has already announced partnerships with Toyota, Kia, Hyundai, BMW, and others.